Trampoline gymnastics is a fun, exhilarating sport that gives you a chance to feel like you can fly. 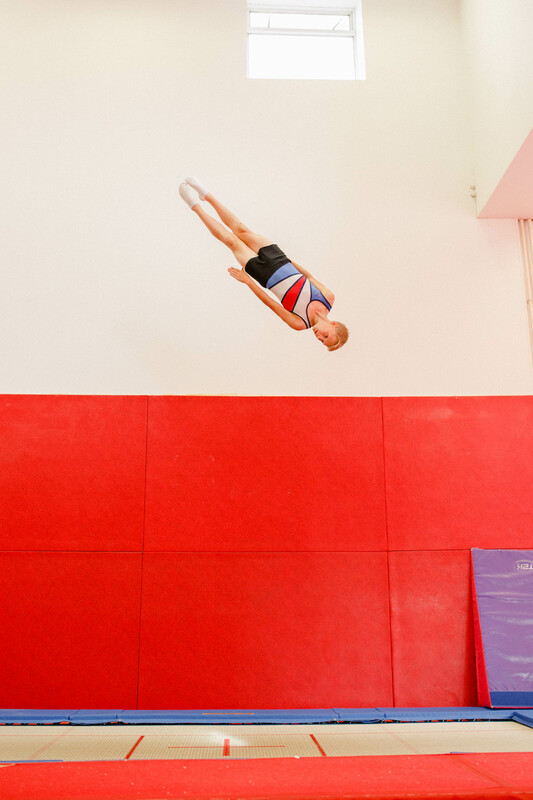 It is a spectacular sport that can see a top level trampolinist reaching heights of 10 metres whilst performing multiple somersaults and twists. It's all about height and style. Trampoline gymnastics is split into 2 different disciplines, trampoline and double mini trampoline (DMT). Harrogate Gymnastics has had success both at the Yorkshire and British level with gymnasts competing in trampolining and DMT.